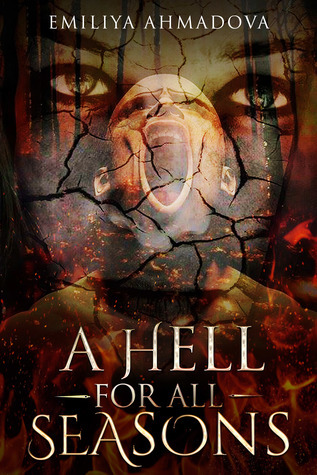 A Hell for All Seasons, by Emiliya Ahmadova, is a collection of horrific tales about the people who managed to escape damnation. From accidentally bartering your soul to a demon, to breaking up marriages if only for the sake of your vanity, to even being bullied in class, these short stories are rife with meticulous detail and imagery. There is a frightening satisfaction in reading these stories; a majority of the characters endeavor to clean up their sins, either through a simple prayer, or running from the ghost chasing you, Ahmadova intertwines frightening monsters with a simple, yet complex narrative that reminds readers the morals humanity tends to leave behind and, eventually, forget. While I enjoyed the stories in this collection, one that resonated with me the most was Revenge, a story about a young girl who was bullied at her school because her mother had, albeit unknowingly, embarrassed her. The way Katrina handled the predicament was wonderful, so very reminiscence of Stephen King’s Carrie, alongside the many articles of what happens when prey is cornered. Personally, I wanted Lisa and those other kids to suffer, but alas, Katrina is kinder than I am. Repetitive themes of damnation and redemption also found throughout these stories, which help cultivate a sort of religious feel to them. It can be a bit overbearing at times, and a little more than predictable, but they were enjoyable nonetheless. Damnation and redemption were prominent concepts in the book. Each of the seven deadly sins were represented in these stories. Some used their vices to hurt their loved ones, others complete strangers. Either way, Ahmadova teaches the age old lesson that Hell is a real place, and that those who are deluded by their arrogance, or lust, or avarice, or greed will be sentenced there. For those of us who have attended church, it’s the same Sunday school sermon we hear every time. But this time however, that lesson takes on a very real nightmare, one that mercilessly destroys us without a care. As such, I would give this book a rating of a 4.0 out of 5 stars. Each character faced some sort of vice, with the stories an embodiment of the seven deadly sins. While the theme of damnation could be a bit repetitive at times, it was still incredibly well done. I would thus recommend this book to those who enjoy Raven’s Peak by Lincoln Cole and Fallen Men by Brian O’ Hare.